34 x 24 inches (86 x 60 cm) oil on linen. PRINTS AVAILABLE, click here for details at our Etsy shop (opens new tab). 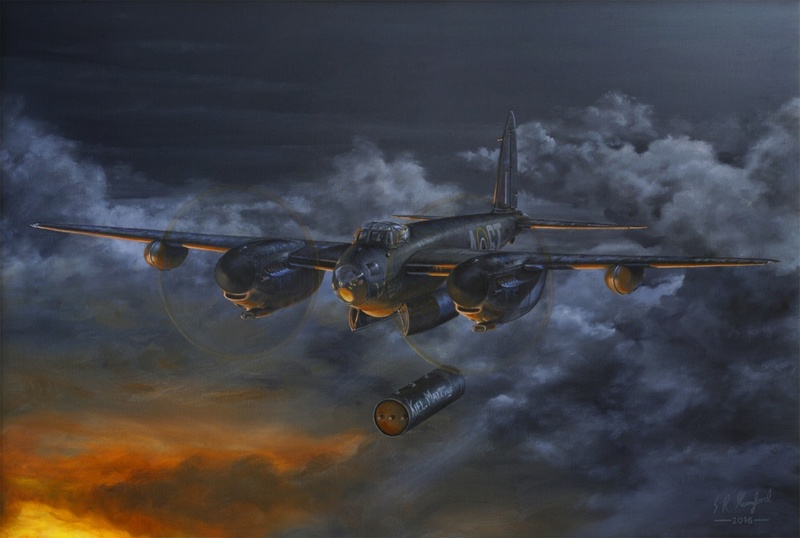 This painting depicts a 608 Squadron Mosquito B MK XVI at the moment the crew release their 4,000lb ‘Cookie’ over the city of Kiel on the night of 2/3 May, 1945, on what was to become the last raid over Europe by Bomber Command during WWII. The painting was inspired by a newspaper article that included a picture of the crew in front of their aircraft before the raid (picture credit: Christopher Coverdale), and projects this scene forward to the second when the last bomb was released – a poignant moment in history after such a long and costly campaign for both sides. 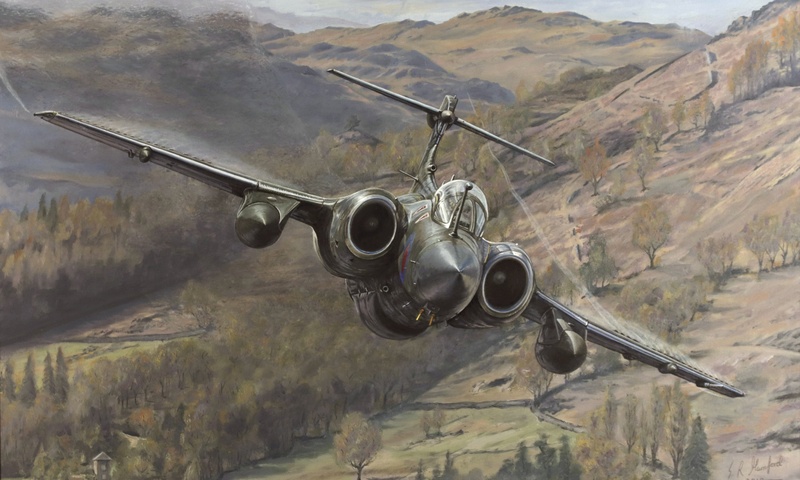 The original oil painting was exhibited and sold at the 2016 Guild of Aviation Artists’ Annual Exhibition at the Mall Galleries in London where it won the De Havilland Aircraft Museum Trophy.